We’ll design CD traycards in your corporate design and cover them with important information, striking pictures and fascinating graphics – at prices that won’t burn a hole in your budget. Some call it a traycard, while others refer to it as an inlay: the little piece of paper that goes in the back of the CD case. We take care of inexpensively printing them in premium quality that will excellently round out the sound, also on the spines. 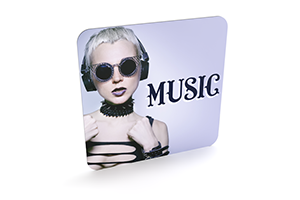 Make sure that your CD has a lasting impact and excellently speaks for you – with a personalised traycard that stands out everywhere, also on shelves. Whether it’s looked at from the front, the left or the right. 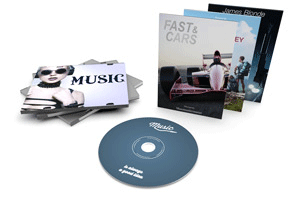 We print your CD traycards on matt 170gsm art paper: with double lateral perforation to ensure that they fit perfectly into the case, including the front and back spines. We print both the spines and the front of your CD traycard with your design, colours, pictures and text, double-sided in full colour. We assume that you already know what you want to put where. But to help you out, we provide you with a blank template containing all of the required perforation lines and crop marks for a standard traycard measuring 15.1 x 11.8cm. It shows you exactly where to place the name of the artist, album title and suchlike for best effect. Whether you need 250, 1000, 5000 or 10,000 traycards, we print and deliver them to you to the address you specify within four to five working days at no extra charge. 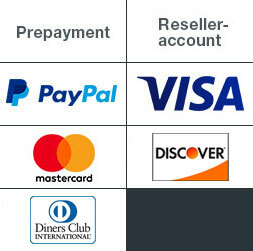 With us, production and delivery are two sides of the same disc, covered by a single price. We promise to provide you with first-class results in a minimum of space. But if you should ever think that we haven’t completely lived up to this promise, as a debut act you’re entitled to a full refund and as a known star to a real hit of a solution.